Size :43*45*35cm,which makes this product can suit most babies. The surface is using high quality plush fabric. Super soft material, which is non toxic and friendly to the sensitive skin.it is very comfortable to touch. The sofa is filled with full PP cotton,flexibility is very strong, not easy to collapse after sitting down, all care for the baby's safety. Cartoon Animal Design-Lovely animal pattern, your baby will love it. It can help to cultivate imagination and promote development for your baby. Provides your baby a safe place to sit in any room of the house. Lovely animal baby sofa, best choice for you to choose a gift for infants toddlers and babies. 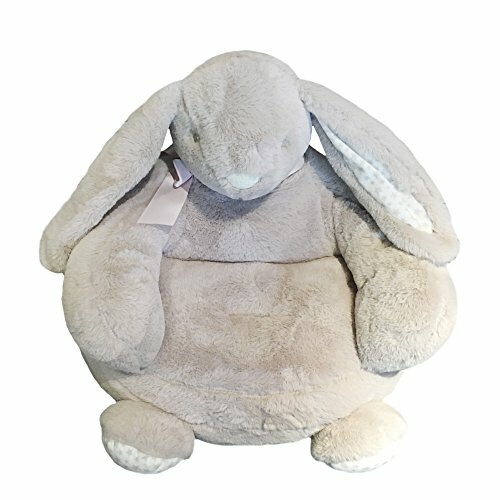 It helps infants to learn sit up quickly when in it.It allows baby to sit naturally with support.Or you can just think of it as a soft staffed plush toys. All the pictures are taken by material object. Due to the different light and display, there are color aberrations between the products' images and the material objects, please refer to the material objects. All of our products are pure hand , size will inevitably appear error phenomenon, within 3cm error is normal. If you have any questions about this product by Crazy lin, contact us by completing and submitting the form below. If you are looking for a specif part number, please include it with your message.